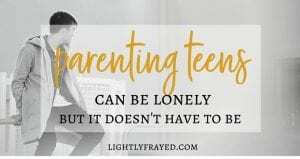 Whether we are snuggling our baby boy, or asking our teenager to open the jam jar, relationships between Moms and sons are precious. Because Moms rock. Even when we get it wrong, and then make it right, we still rock. We have a unique role in the lives of our babies even when they babies tower over us and need to shave. What if We Have No Experience with Raising Boys? What’s a Mom to do when she begins to have sons, but has no experience to draw from? I asked myself that question as I held my first baby boy. Well, a few days later after the stitches healed. I grew up in a very pink world with three sisters. how do I best show my boys I love them? 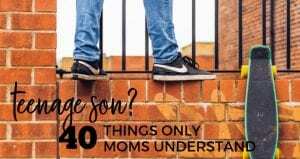 what does every Mom of boys need to understand? how can I train my boys to put the toilet seat down? And started asking around for recommended resources. This post may contain affiliate links for products I know and love. See my full disclosure here. Emerson Eggerichs wrote Mother & Son: The Respect Effect and boy is it rocking my world. Allow me to share six epiphanies about the importance of Moms showing respect to our sons. But the good news is that Moms can be quick learners and highly motivated to improve relationships! 2. Moms must offer boys respect, unconditionally. Then I read Eggerich’s explanation. It is obvious we must love our daughters unconditionally, not based on their behaviour…or ANY other factors. We would never withold our love based on a string of poor decisions by our daughter. That would be unthinkable. Communicating conditional respect of our sons is devestating. We know that our husbands thrive when they know we trust them, admire them and believe in them. And Shaunti Feldhahn’s research for her book For Women Only took that understanding one step further. She shared that men would rather sense the loss of loving feelings from their wives than to be disrespected by them. Seriously? Men would rather feel unloved rather than disrespected? No wonder I was missing the mark with my boys! Want to gather your own wins? 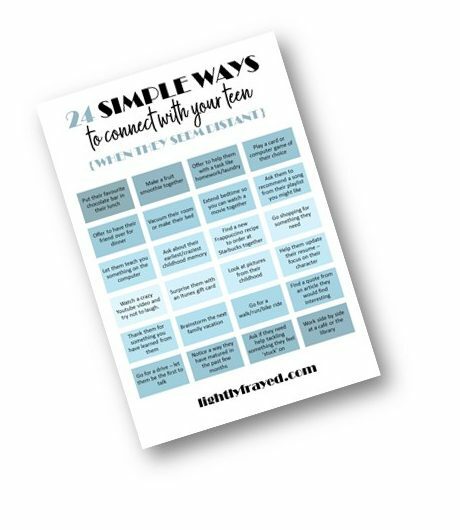 Download this printable for bite-sized, actionable tips to connect with your teenagers (sons and daughters)! Thankfully, Eggerichs discusses specific ways to support boys in each of these areas. Isn’t this humbling to be a Mom to boys who are wired for all of these achievements? And while I admire these traits in my husband, I am increasingly aware of the privilege of now raising someone else’s husband. I get to be part of the dress rehearsal of their adult life. BUT good news! Simple changes in our wording can help prevent a son’s pulling away when there is a conflict. For example, we can say, “I am not trying to disrespect you. My goal is to honour you, not dishonour you….My goal is not to put you down. That would be disrespectful….I am only trying to address the issue, not attack you as a person. What happened when I tried this approach? I’d love to hear how you have learned to use a blue lens with your son(s). Let’s get practical! Special thanks to ForEveryMom.com for endorsing Moms and Sons: Respect is the Secret Sauce and Dear Mom: When You Want to Hide over on their site. 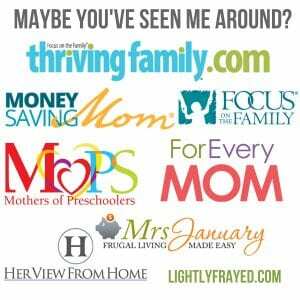 Pour some tea and read their goodness for Moms? Great article, Karen! I look up to you as you raise your boys! I love how you continue to keep learning to become the best mom you can! I look forward to reading this book. I’ve never heard those ideas before. Game changer! Thanks! Thanks, Erin. 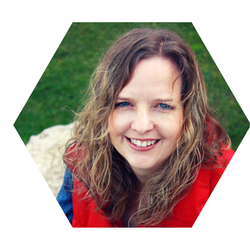 I made a decision a long time ago to treat motherhood as my career/calling and to professionally develop as I would as a teacher – reading, learning from colleagues and attending workshops and webinars. It helps to feel like we have ‘tools,’ right? I hope you love the book as much as I do. This is great! I grew-up with two brothers and…you guessed it…now have 3 boys! I have no clue how to speak pink! I laughed at the potty humor and the “guns” comment! I could share some interesting stories! Thanks HopeWriter friend! That`s awesome to have had all of that `blue`training – you had a definite advantage as a boy mom. We`ll have to swap mom stories soon! Preach it!! This is Sooo true!! Respect is huge with boys. I haven’t read this book, but I wish I had as it would have saved me a lot of trial and error! Sounds like one I need to start recommending! Hey Miranda. Trial and error is a legit parenting strategy too. 🙂 I really recommend it for anyone trying to speak ‘blue.’ There is so much else the book covers, that I couldn’t summarize – like sample conversations to follow. I am NOT beneath someone giving me real words to use. I really recommend it. My boys are now 40 and 46 — I think it’s a tad too late! Susan – thanks for stopping by. I know I’m going to blink and have 40 year old kids – that’s how quickly life is zooming by. I actually think the wisdom this book offers can apply to parenting adults as well. A few anecdotes are about Moms of older kids showing respect to their “boys” in a way they didn’t realize was needed. It’s a great read! I’m sure you have a lot of wisdom to offer to this Mom from your experiences. The timing of receiving this could not be better. Our seven year old wonder is amazing, but lately he has been in the land of disrespect more than usual, and seems to have taken a “king of the house” approach as he casually demands his needs and wants us to serve him! As we try to navigate through, your article has some excellent tips! As he is an only child, and a boy, I feel challenged sometimes and wonder if anything is sticking?! And then, randomly he will come over and say how he wants a hug and tells me how much he missed me today! My saving grace moments for sure, LOL! Great read, thank you so much! Oh friend, I sure understand. 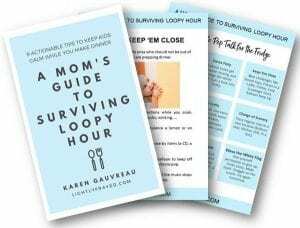 This book was so helpful to me parenting my 4 man cubs. I still have so much to learn, but I am growing in inches. And then ‘ungrowing’ and then trying again. It is available in libraries, but I would recommend buying a copy and highlighting all the bits that you want to keep pondering and practising. Those winning moments can carry us through a lot of the challenge, can’t they? Thanks Karen! Will check it out and let you know how it goes. I appreciate your writings very much! Karen, this is so great. As a mom to three girls and one baby boy, I already see how very different parenting will have to be. 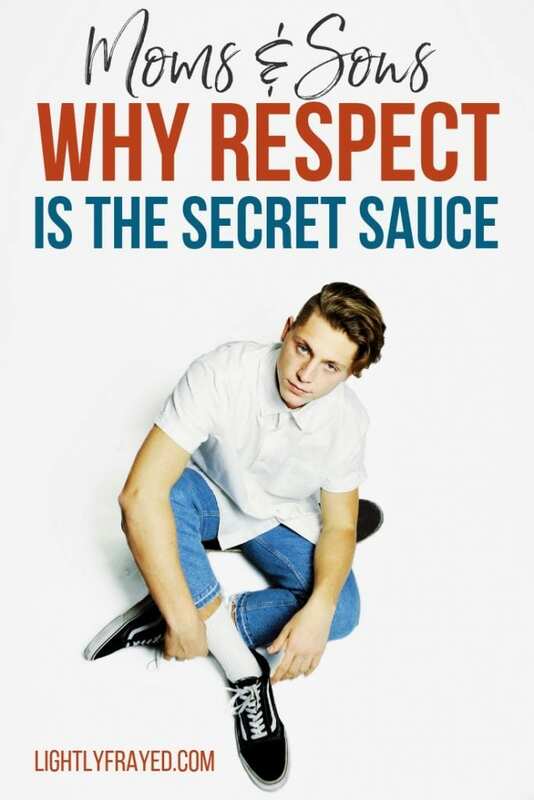 I’m not there yet, but this post and the book recommendation has definitely given me a nudge in the right direction to ensure that I am more aware of the Respect Effect. I love that you mentioned that this also applies to husbands – it’s incredible to already see my husband through the little acts and eyes of my son. I love the idea that we are raising someone’s future husband. This really does change the perspective a bit. I think that is what I love most about reading other people’s words – words can round out, challenge, shift and expand our perspective. Thank you for reading these words today, Sarah. Looking forward to hearing what you learn as a boy mom as your little one grows. Love your website name! Not easy to learn blue, but I’m trying. And failing. And then trying again. Let’s call it failing forward, shall we?